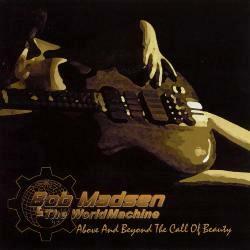 On today's show, we’re spotlighting Bob Madsen & the World Machine with a trio of tracks from Madsen’s Above and Beyond the Call of Beauty debut. Hour 2 sees a shift in focus to new music with the Fresh Trax segment. 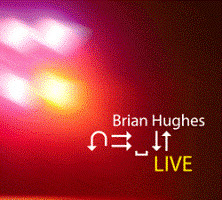 Headlining this edition are Brian Hughes & Jonathan Butler. Also appearing are harpist Lori Andrews and keyboardist Chris Geith while making her Café Jazz debut is sax-lady Jessy J. Then later that same hour there’s a retro pack of classics that includes Pamela Williams, Dancing Fantasy, Armsted Christian, and Thom Rotella. In addition, strategically strewn about selected portions of the show we have choice gems from Rick Braun, Bob James, Everette Harp, Walter Beasley and a few others – as well a past fave by Marc Antoine that starts the show! Back in August of 2007, when Bob Madsen & the World Machine debuted on edition #449 of our humble show, we reported that Madsen had originally been "afflicted with an affinity for heavy metal" but that it had been thru the music of Stanley Clarke, Al DiMeola, and the like that he discovered the compositional possibilities of the bass guitar. Suffice it to say, we were suitably impressed by Madsen's unique approach to contemporary jazz and if anything, the period since has only served to enhance that perspective! While he was in his 20s, Madsen played Northern California in a variety of cover bands and by 1998, he'd begun work on a solo project, that in reality he'd been dreaming about for years. However, the concept was put on hold for a few years after Madsen relocated to the Sierra Foothills where he started a real estate appraisal firm and went about the mundane business of earning a living. Nonetheless, when a 2004 appearance at a players' clinic rekindled his passion, Madsen's desire to complete the disc couldn't be denied. Since the album was entirely self-financed, the project came together rather slowly - but, come together it did and quite nicely too I might add with Madsen enlisting the aid of some highly talented performers. Among the more prominent players, contributing is Jeff Kashiwa who adds his distinctive sax stylings to several tracks, while also appearing are top session-drummer Dave Weckl as well as Carlos Reyes on violin. It's therefore with the utmost pleasure that we thrust Madsen & company into our showcase spotlight! Fifteen years in the making and with a wide variety of styles represented on the disc, we've opted for what we feel are three dynamite selections! I think you're gonna luv 'em all - beginning with the Afro-flavoured Standing on the Sky that features Jeff Kashiwa! With Norbert Stachel on sax, the comfort of In Her Arms opens hour two replete with a sensitivity that's all too rare in today's music. Finally, concluding the segment is Second Wind, nearly six full minutes of dynamism and a tune that quite literally takes on a life of its own! And in so far as the album title is concerned, Above and Beyond The Call of Beauty pretty well says it all in so far as what Bob Madsen's artistry is all about - the music itself may well excede those expections! 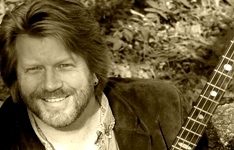 One of Canada's greatest musical ambassadors, Brian Hughes has enjoyed a highly successful career both backing Loreena McKennitt on a variety of projects as well as a solo performer with 6 previous cds to his credit. Although he relocated to LA a few years ago, back in October of 2005 Hughes recorded a concert at La Maison de la culture Frontenac in Montreal with many of his most popular selections done live. That project was just recently issued and we have a selection from that for you today. On the album, it's over 11 full minutes that's almost a Zen-like excursion but we've cut it down a bit as we present a special Café Jazz edit of While The World Slowly Turns! 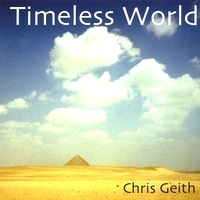 Chris Geith is another excellent artist that we first came across several years back on the old mp3.com site, while it was still a Mecca for up and coming performers. Back then, Geith (pronounced guy-t) already had a pair of excellent projects to his credit with his 2000 Prime Time release placing him among the most downloaded musicians on the entire internet with well in excess of a million downloads. A project that was two years in the making, Timeless World now represents his 3rd and most recent release. The album is the latest issue by The Nuance Music Group, a label that was founded by guitarist and Café Jazz fave Matt Marshak - incidentally Marshak contributes to the project guesting brilliantly on several tracks, including Waves of Life, the first single to radio. No doubt, we'll be going to that and a few other prime selections in the not too distant future. Nonetheless, on this occasion, we've opted for the indelible high-tech groove of the title track! Born of Mexican-American heritage, Jessica Spinella aka Jessy J hails from Portland Oregon. Jessy shares that, she fell in love with music when she was four and started taking piano soon after - later, in the fifth grade, she wound up taking sax for her school band after her family had relocated to Hemet California. Spending most of her youth as a competitive artist; by 15, Jesse was named Piano State Champion at the Bela Bartok Festival in California. Six years at Idyllwild Arts Summer Academy supplemented her dedication, helping get Jessy into USC. She graduated as "Most Outstanding Jazz Student" in her class of 2001 and immediately jumped to recording with artists like Michael Bublé and touring with The Temptations, Jessica Simpson, & Michael Bolton. After a two-year tour as part of the off-Broadway musical "Blast" with her former husband, trumpeter Fabio Spinella whom she met at USC, a dream began to materialize with Jessy's desire to record her own music. 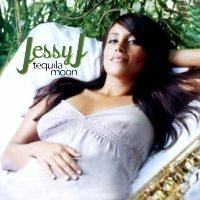 For her debut, Jessy knew she wanted to work with Paul Brown, the top producer in smooth jazz. To quote Spinella, "Two of my biggest inspirations on tenor are Boney and Joe Henderson, and I have learned so much from the sensitive way they play. I really try to love each note, because each note has its own shape and tells a story … Paul really helped bring all those nuances out in me." From that effort, we present Tequila Moon, the seductive title track by Ms Jesse J! Well respected by her peers, Lori Andrews is a gifted and energetic harpist, who has single-handedly helped redefine the possibilities of her chosen instrument. She began playing regularly in the Atlantic City area in the early 80s, relocated to LA in '85, and then released her solo debut in '92. 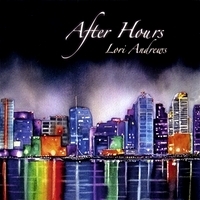 Since that time, Lori has taken the harp well beyond its traditional bounds into the realms of jazz, fusion, and R&B. With a resume that is to say the least extensive, Andrews has appeared at numerous festivals, played for a variety of film & TV projects, performed for royalty, presidents, and celebrities while her JazHarp Quartet sits as the house band at the Academy Awards on the first evening of the Awards. In addition, Ms Andrews has turned somewhat prolific in the recording department and now has eight cds to her credit. From her latest effort billed as After Hours, the track we've selected features the expressive saxwork of Mark Hollingsworth! Starting with his self-titled debut in the late 80s, Jonathan Butler's career path has crossed many genres. He's developed into a dominant performer in the smooth jazz arena and has been Grammy nominated, but thruout, he's always remained true to his heritage. Since the official end of apartheid in 1994, the South African expatriate has returned to his native soil on several occasions, most recently in 2007, for a series of highly emotional concerts in Johannesburg. 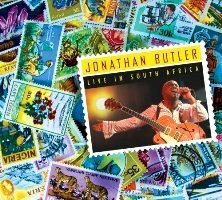 Coming away with live renditions of some of his most popular selections, Butler culled the collection to present what is most certainly an inspired project as part of a deluxe cd/dvd package. Entitled Live in South Africa we've selected the opening track on the disc, the suitably entitled Afrika, and Butler's glorifying musical testimonial to homeland! This week on the After Hours portion of the show there’s something just a bit different as we present a double feature highlighting the music of Les Sabler, past & present. Sabler steps into our Then & Now spotlight for an eight track set as we double up with two tracks from each of his 4 releases and that’ll be about 15 or so minutes into the hour. In the meantime, the tradition of playing music that is totally new to the show continues. Our line-up includes more from Jim Savitt, Hiroshima, Bob Gaynor, and Main Gazane while brand new to Café Jazz are the sounds of the band East of West and they’ll provide the closing selection! Les Sabler: Over the past several seasons, Les Sabler's become a very familiar name on our show having assumed almost unofficial poster boy status. Hailing from Montréal, Sabler's been a full-time Florida resident since 1978. Canada's loss was definitely the Sunshine State's gain as the Jazz major from Concordia University cemented his already rock solid credentials by enrolling in graduate studies at the University of Miami Jazz Department. In the 90s, a pair of releases gained substantial airplay in the US - that was right around the time that we entered the picture first being exposed to Sabler's sound by WSJT, Tampa Bay's local smooth station that was spinning the track Cruisin'. Simply put, I had to have more; but alas, it would be quite some time before that wish was fulfilled. Time did pass, the clouds began to lift, 2003 rolled around, and then suddenly the sun was shining again as Sabler released Bridge the Gap. Again, a decent showing in the US, but it was back in his native land that Bridge the Gap left an indelible impression - and I'm pleased to say we here at The Café had a small hand in its success being the first to break the cd up here in the land of ice and snow! The project was the most played album by a Canadian for the year and has enjoyed residual effects appearing perennially on our own in house list of faves. Known as the lightning capitol of the world, lightning did strike again in the Tampa area this past year in the form of Sabler's latest sweet release called Sweet Drive. Just a few weeks ago, we provided a quick recap of some of its highlights for the past year: #6 most played cd, #7 most played artist for Sabler, and #8 most played selection for Club Street with an honourable mention for Twenty-Two. Meanwhile on the Canadian front Sweet Drive was our #1 album while both releases have garnered Sabler a pair of nominations at the Canadian Smooth Jazz Awards - the drive has been sweet indeed! So with the exhilaration of this latest project still coursing thru our veins, we thought the timing rather apropos, if you will, for a Les Sabler Then & Now feature; and in this case Les is more as we've doubled up, choosing two selections from each of Sabler's four releases for an extended 8-track segment! In order, the tracks that you'll be hearing include Neptune's Waltz and Theme X from 1990 & Sabler's Hidden Treasures debut. From the '95 Time For Love cd come Peace River Suite and Cruisin' - apart from the sax work of Sabler's close friend, the late Steve Gould, on Peace River Suite, Les handles all the instrumental duties on the latter two tracks. Those are following by Midnight Reflections and Bridge the Gap while Twenty-two and Les's current hit, Club Street, cap 35 minutes devoted entirely to the man whose music is hot as the weather in the city where he resides! Notwithstanding the fact that recording hasn't always his full time gig, making and playing music has always been Les Sabler's full time passion - and I think that will come thru in the selections that we've chosen!